FREE Meal For Dads At Spaghetti Warehouse! You are here: Home / FREEbies / FREE Meal For Dads At Spaghetti Warehouse! On June 17 only! 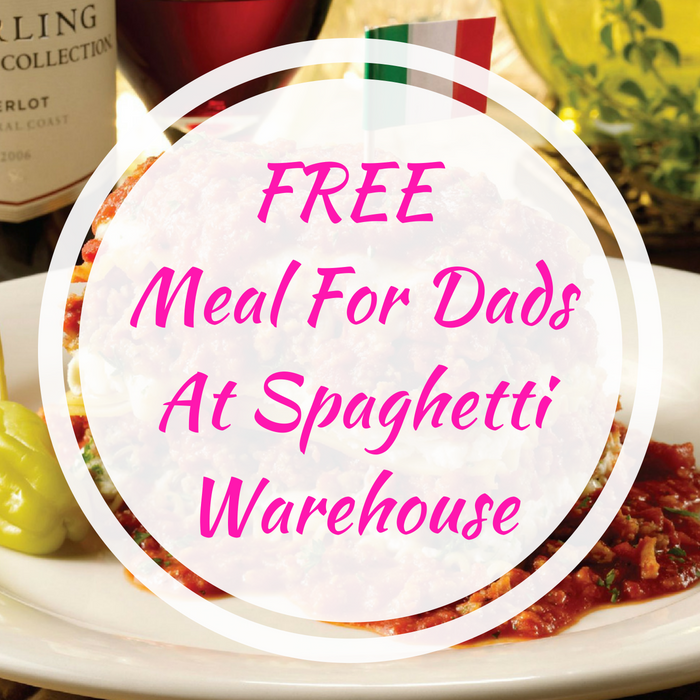 In celebration of Father’s Day, Spaghetti Warehouse will be offering a FREE Meal For All Dads! Dads have their choice of the Incredible 15-Layer Lasagna or an Original Recipe Spaghetti Entree including the popular Spaghetti & Meatballs! No coupon is needed and this is a dine in only event! Please note that there’s a limit of two FREE meals per table/party. Awesome! Don’t miss it!